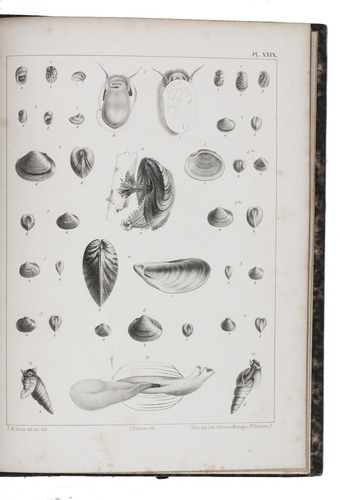 Paris, Masson, 1847-1852. 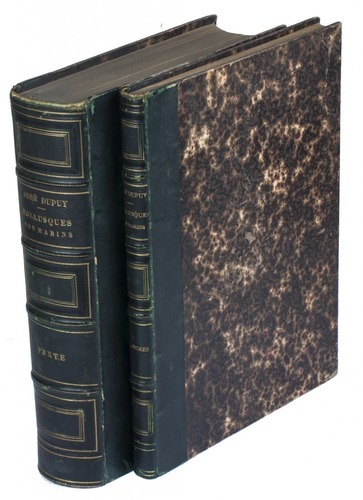 2 volumes (text and atlas). 4to. With a letterpress folding table and 31 lithographed plates. Contemporary green half sheepskin. 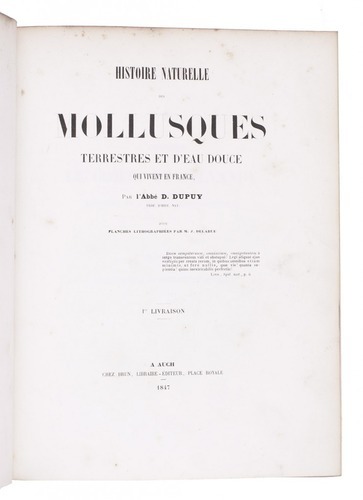 First edition of an extensive monograph on French land and fresh-water molluscs, by the French botanist and malacologist abbot Dominique Dupuy (1812-1885). 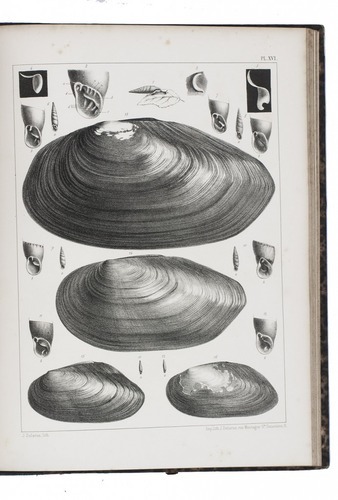 The text volume contains descriptions of many different species of land and water snails, slugs, and fresh water mussels, describing both the animal and the shell and its habitat. 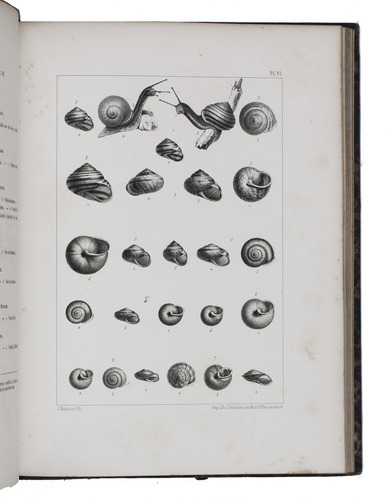 The text volume closes with a bibliography and an index. 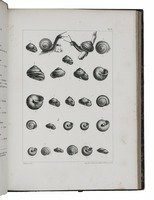 The second volume contains all the lithographed plates, each depicting multiple snails and shells and each accompanied by a brief explanatory page. 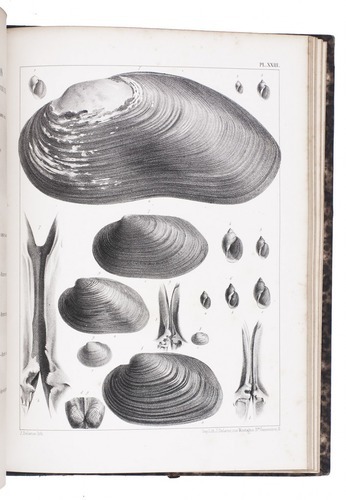 With a presentation inscription on the half-title of the plates-volume: "à Mr. LeMaout homm. resp. de l'aut. D. Dupuy". Slightly browned and some minor foxing. Bindings only slightly rubbed along the extremities. Overall in good condition. BMC NH, p. 495; Junk, Thes. libr. 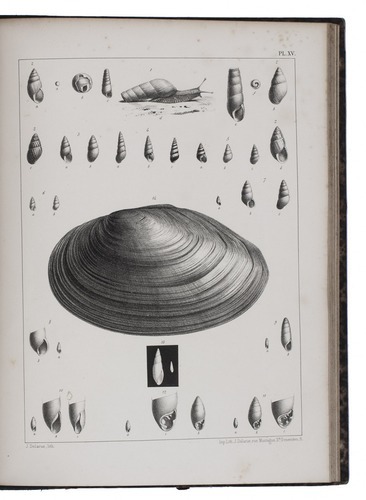 conchyliorum 128.